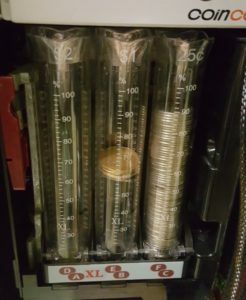 As i have mentioned i going to make a full review on the various types of coin mechanisms commonly used here in Vancouver, BC, i ones that i encountered are namely : Coinco, MEI, Conlux and Mars coin mechanisms for the vending machines. The common problems that i encounter on my vending business is the commonly used parts on the vending machine, which is the : Coin Mechanism Bill Acceptor and Card Readers. Almost 90% of the problem are caused by improper operation of the coin mechanism either be a mechanical or electronic. Lets start by reviewing the most common coin mechanism that is used here in Vancouver, BC Canada. 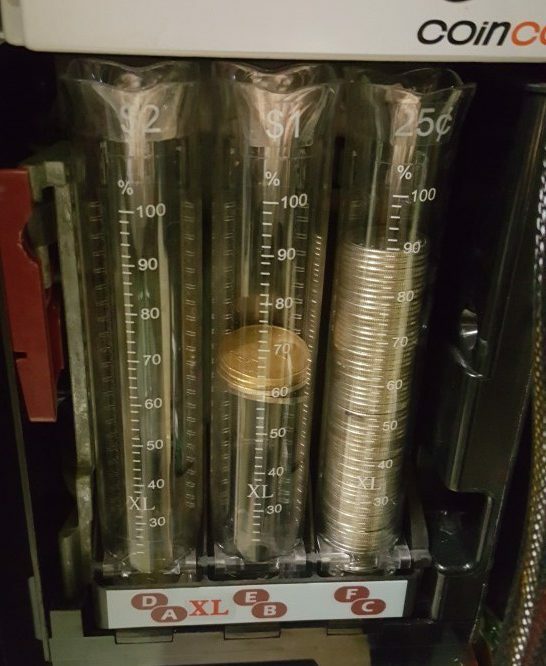 Description : this is a very reliable coin mech and absolute sturdy and can receive a lot of punishment and i have a lot of these inside my vending machines and they are still performing very well, the only problems i encountered is the top portion of the coin mech which sometimes need to be changed or cleaned in order to properly function. Description : this is a fairly new model and i got this inside on one of my combo machines and it never caused a problem for me, it`s just that i always have to carry a lot of change because there is only 1 column of $2, 1 column of $1 and if the location has a lot of bill users, the change always run out and the staff might sometimes put an out of order sign, so always bring lots of $1 and $2 rolls. Description : i have a lot of these installed in my pop and snack machines, because it has 6 tubes of change and you will never run out of change and normally you don`t need to carry rolls with you when you are servicing the machines with this type changer, the only downside i encountered is that if this coin changer is getting used a lot and getting old you might be encountering some payout problems like $2 goes into the $1 slot and the Nickels goes into the Quarter Slot, attached is the recent problem i encountered today while servicing a very busy location in Downtown Vancouver. All coin mechs need to be maintained so in 2 to 3 years you always need to check them and maybe time for an upgrade. Description : Second most common coin mech i have is this very reliable coin mech in my other vending machines, this is a very reliable coin mech and i never had an issue with this because the design is very simple with few moving parts inside the coin mech and so far i never had any coin jams, i wish i can upgrade all my coin mechs into this MEI, this is the favorite for the veterans in the vending industry. Description : this is also one of my favorite coin mech, this has also a few moving parts and simple design, i also never had any problems with coin jams and any other problems. I hope this simple reveiw which is done by an actual vendor servicing vending machines everyday would help you in making a wise decision when you are planning to upgrade or change your exisiting coin mech when you encounter more than usual problems. As vendors we like to make sure everything is working with the minimum calls and complaints by customers.